Last night we attended Disney On Ice Celebrates 100 Years of Magic at the Energy Solutions Arena, and absolutely loved it! We attend every time Disney On Ice comes to Salt Lake City, and it's great to see that it's a different show and different experience each time. A welcomed surprise was the appearance of The Incredibles. It was fun to see the special effects of the girl that became "invisible", and the mom that had stretchy arms. Our family loved seeing "It's A Small World", and felt like we were back in Disneyland. 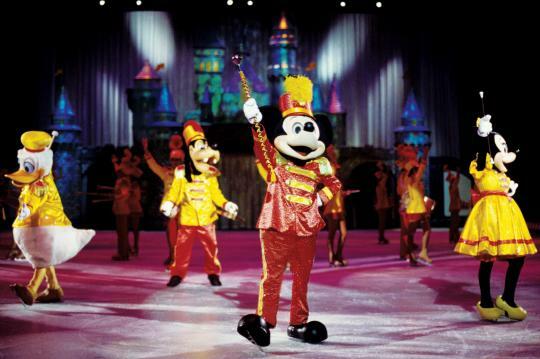 The Electric Light Parade was also a fun performance that made us want to book another trip to Disneyland. Beauty And The Beast is my favorite Disney show, and it was fun to see that added to the show this time. My 7 year old son liked watching all of the special effects, and the giant whale that swallowed Geppetto and Pinnochio. My 9 year old daughter liked the girly things, like Minnie Mouse and the princesses. They both enjoyed the amazing jumps, twirls, flips and tricks the skaters did on the ice during the performances. 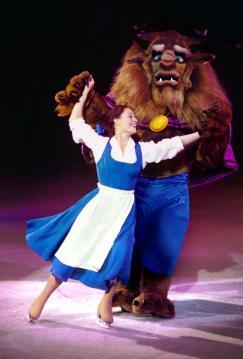 If you have not yet been to Disney On Ice Celebrates 100 Years Of Magic, it is in Salt Lake through Sunday. Tickets are available from the EnergySolutions Box Office and all SmithTix locations, charge by phone at 801-355-SEAT or 800-888-TIXX and online at www.smithstix.com or www.energysolutionsarena.com. Photos used with permission from Feld Entertainment.